The book is difficult to characterize. It's about debt and money through history, but it's really not a work in economic history. It offers a lot of ethnographic detail about borrowing, lending, gifting, and reciprocating, but it's not really a work of anthropology. And it offers morally valenced language to describe debt and credit, but it's not really a polemical critique of the present financial system. It is certainly an engaging, interesting, and thought-provoking book, and Graeber appears to know a great deal about the social and institutional histories of the main civilizations of Eurasia. One line of thought is perfectly clear in the book: Graeber wants to demolish the myth of the truck-and-barter origins of money. This is the standard story within classical and neoclassical economics. But Graeber thinks it is a complete fiction. He regards this as a just-so story that doesn't make any sense ethnographically, and has never been observed in real pre-state societies. The story, then, is everywhere. It is the founding myth of our system of economic relations. It is so deeply established in common sense, even in places like Madagascar, that most people on earth couldn't imagine any other way that money could possibly have come about. Graeber's case for this position seems to be a sound one. But why exactly does it matter? It seems to be a bit analogous to literal-minded social contract arguments: that the state is legitimate because it descends from a primordial agreement among all citizens to create its authority. But discrediting the origins story doesn't really tell us anything about the functioning system. We have an economic system today that coordinates activity through money and credit, and it doesn't really matter very much if we know exactly how it came about. I think that Graeber is focused on the issue because he thinks the myth helps to convey the view that the contemporary economist's view of human activity -- self-serving actions designed to maximize one's own utility -- is in fact an historical universal, applying to pre-modern and non-western social settings as well as to the New Orleans cotton exchange. Graeber's view, by contrast, is that most human activity doesn't conform to this model; that the gift relation and the practice of open-ended reciprocity are much more characteristic of the human condition. There are many startling facts and descriptions that Graeber produces as he tells his story of the development of the ideologies of money, credit, and debt. One of the most interesting to me has to do with The Wonderful Wizard of Oz. One of Graeber's recurring themes is that money and debt are reciprocals of each other. He tells many stories about IOU's being passed around within a community: John promises to give X to Alice; Alice passes on the IOU to Robbie in exchange for a beer; Robbie takes the IOU to the nail shop and exchanges it for a pound of nails from Bert; and Bert eventually comes back to John to redeem the IOU. In this circuit, the statement of debt serves as a basis for folk currency within a local society. But Graeber argues that the establishment of Bank of England resulted in bank notes that were no more or less than IOU's from the state (49). Another theme that comes into the book is the close connection that Graeber draws between money and currency, and violence and war. 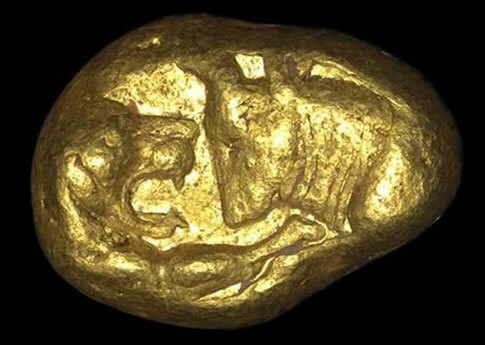 He argues that trust and extended credit arrangements work very well during periods of peace; whereas a period of extended warfare puts a premium on the portability and anonymity of precious metals. So warfare pushes societies (and monarchs) towards the use of currency made out of precious metals. He goes further: monarchs needed to pay their armies, in Europe, central Asia, and East Asia; and precious metals (coins) work best for the heavily armed and footloose soldiers who made up those armies. So what is the connection he wants to draw between value systems, social violence, and money? It is unclear to me; somehow Graeber weaves together a fascinating narrative involving each of these. He does think there is a connection, but it's difficult to see what is thought to be causal in the story. As I mentioned at the start, Graeber is also an activist who has been strongly involved in anti-globalization protests in the past fifteen years. His Direct Action: An Ethnography is an interesting cross-over book bringing together his anthropologist's training and his activist experience; it is an ethnography of the anarchist activism movement as he has experienced it. I'll discuss this work in a future post. Here are two interviews with Graeber that give a pretty good idea of his style and critical views about the present (link, link). Both are very interesting to listen to. 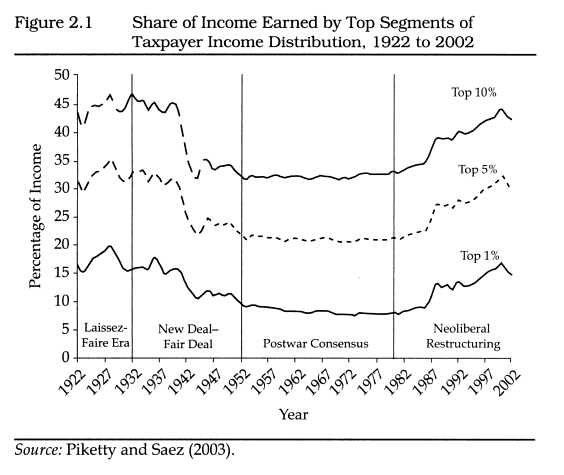 Massey is interested in a specific kind of inequality -- what he refers to as "categorical" inequality. "All human societies have a social structure that divides people into categories based on a combination of achieved and ascribed traits" (1). The kinds of categories he cites include gender, race, age, and membership in exclusive social organizations. 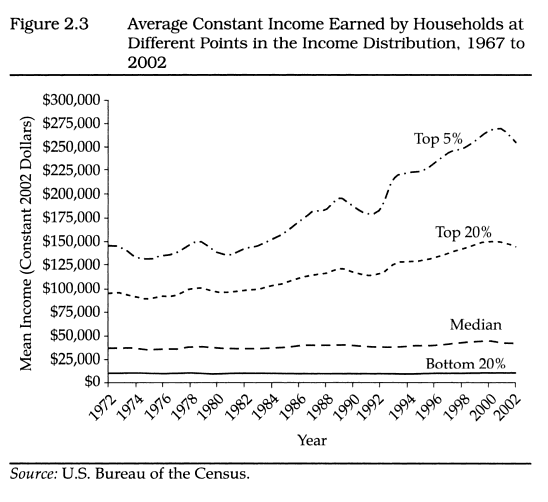 Categorical inequality, then, is defined as inequalities of income, wealth, or influence that vary systematically with membership in social categories. 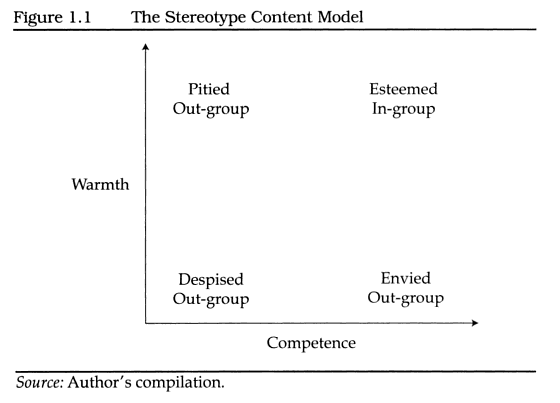 Massey hypothesizes two dimensions of mental categorization, leading to four gross categories of people in one's social category scheme: warm-cold (appealing-unappealing) and competent-incompetent. People who are like us are considered "warm" and "competent". 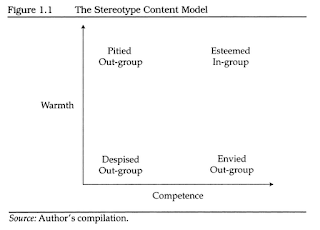 The other three quadrants are categorized as "other": warm but incompetent (pitied), competent but cold (envied), and incompetent and cold (despised). And he asserts that American racism places African-Americans in the final category. This in turn is used to explain the harshly negative tilt that US legislation has shown across lines of race and poverty. Massey argues that these cognitive mechanisms work at a pre-conscious level, and are operative even in the behavior and choices of people who consciously experience their values as democratic and egalitarian. These patterns of ongoing discrimination reinforce and reproduce social institutions that assign very different outcomes to African-Americans, poor people, and other dis-valued people. This works itself out in employment, advancement in a career, access to healthcare, and public policy and legislation. 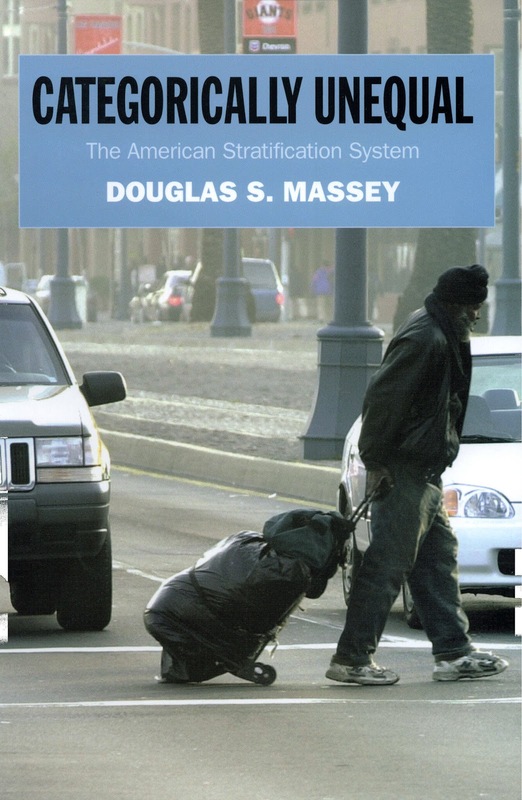 The crux of Massey's analysis here is that inequalities of wealth and income are generated by several mechanisms; but that key among these are the forms of discrimination that find their roots in social psychology and become operative through policy and law. 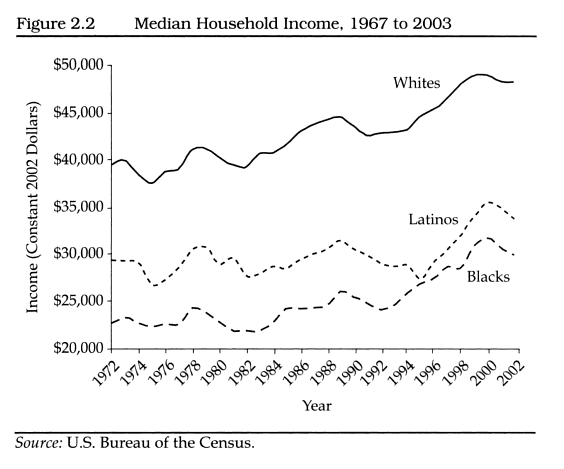 The gap between white and black median household income documented in figure 2.2 begins in the 1970s at about $20,000 and remains roughly that magnitude through 2002. 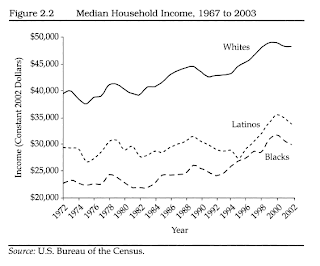 And these household income inequalities are created, he argues, through a complex of institutions (economic and political) that serve to compound discrimination and the disadvantages experienced by "out" groups. Moreover, these institutions work to the benefit of the privileged as strongly as they work to the harm of the disadvantaged; so the institutions are unlikely to change. "In other words, whether whites care to admit it or not, they have a selfish interest in maintaining the categorical mechanisms that perpetuate racial stratification. As a result, when pushed by the federal government to end overt discriminatory practices, they are likely to innovate new and more subtle ways to maintain their privileged position in society (Massey 2005c)" (54). This is a gloomy conclusion, and one that argues strongly for a passionate and sustained commitment to remedying the stark racial inequalities that exist in our society. The basic insight that is leading to new research in digital humanities is the fact that vast quantities of texts are now available for quantitative analysis. Humanists typically work with texts, and up till now their approaches have largely taken the form of close readings and semantic interpretations. 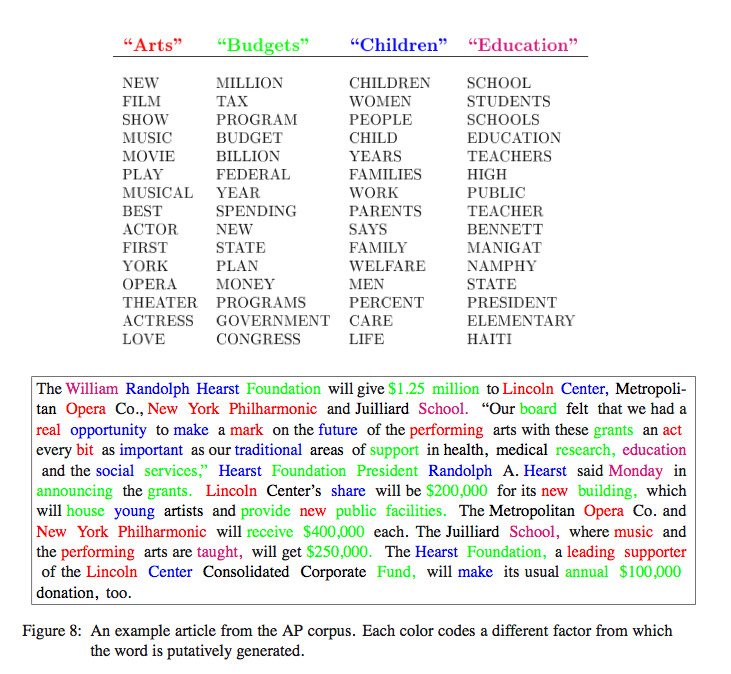 Now that much of the published corpus of humanity is available in digital form thanks to the Google Books project, and now that many archives are steadily moving their ephemera to digital versions as well, it is possible for humanities researchers to broaden their toolkit and look for patterns among these published and unpublished texts. 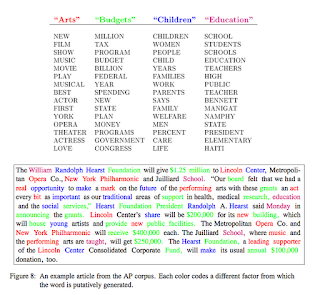 Google's NGrams tool allows all of us to do some of this kind of work (link, link), but more specialized tools for statistical analysis and presentation are needed if we are to go beyond compiling of changing frequencies of specific terms. Statistical techniques for discovering "topics" in documents represent a crucial step forward in this endeavor. As Nelson Goodman noted in a pre-digital time, knowing what a text is "about" requires more than simply knowing what words are included in the document in what frequencies (Problems and Projects ). We might have said at that point in the 1960s, that what we need beyond the syntax and the list of terms, is "understanding", an irreplaceably human capability. But a central task for web-based search arises from exactly this issue, and a great deal of research has been done to attempt to do a better job of discovering the "topics" that are central in a given document without invoking a human reader. And surprisingly enough, real progress has been made. This progress is at the heart of the digital humanities. The fundamental problem is this: are there statistical methods that can be used to analyze the frequency of the words included in a given document to provide a compressed analysis of the "topics" included in the document? We might then say that this compressed representation is a good approximation to what the document is "about". We describe latent Dirichlet allocation (LDA), a generative probabilistic model for collections of discrete data such as text corpora. LDA is a three-level hierarchical Bayesian model, in which each item of a collection is modeled as a finite mixture over an underlying set of topics. Each topic is, in turn, modeled as an infinite mixture over an underlying set of topic probabilities. In the context of text modeling, the topic probabilities provide an explicit representation of a document. We present efficient approximate inference techniques based on variational methods and an EM algorithm for empirical Bayes parameter estimation. We report results in document modeling, text classification, and collaborative filtering, comparing to a mixture of unigrams model and the probabilistic LSI model. In some ways the type of application that Ian Miller is making of these tools seems ideal. This kind of statistical methodology can be applied to very large databases of historical texts in order to discover patterns that the authors of those texts would have been entirely unaware of. So methods like LPA seem well designed to uncover historically shifting patterns of topic emphasis by observers and policy makers over time and space. This is just a first cut for me on the kind of reasoning and statistical analysis that information theorists are employing to do semantic analysis of documents, and I certainly don't have a good understanding of how this works in detail. The power of these frameworks seems very great, though, and well worth studying in greater detail by historians and humanists. As I've noted in previous posts, there has been a major debate in economic history in the past 20 years about what to make of the contrasts between economic development trajectories in Western Europe and East Asia since 1600. There had been a received view, tracing to Adam Smith and Thomas Malthus, that European "breakthrough" was the norm and Asian "stagnation" or "involution" were the dysfunctional cases. E. L. Jones represents this view among recent comparative economic historians (The European Miracle: Environments, Economies and Geopolitics in the History of Europe and Asia ). Then Kenneth Pomeranz and Bin Wong challenged this received view in a couple of important books. Pomeranz argued in The Great Divergence: China, Europe, and the Making of the Modern World Economy. that the premises were wrong. He argued that Chinese productivity and standard of living were roughly comparable to those of England up to roughly 1800, so China's economy was not backward. And he argued against the received view's main theories of Europe's breakthrough -- the idea that European economic institutions and property rights were superior, or the idea that Europe had a normative or ideological advantage over China. Instead, he argued that Europe -- Britain, to be precise -- had contingent and situational advantages over Asia that permitted rapid growth and industrialization around the end of the eighteenth century. These advantages included large and accessible coal deposits -- crucial for modern steam technology -- and access to low cost labor in the Americas (hidden acreage). Bin Wong made complementary arguments in China Transformed: Historical Change and the Limits of European Experience , where he addressed the parallel processes of development of political and economic institutions in the two sets of polities. Wong's most fundamental insight was that both processes were complex, and that balanced comparison between them is valuable. Now the debate has taken a new turn with the publication of R. Bin Wong and Jean-Laurent Rosenthal's Before and Beyond Divergence: The Politics of Economic Change in China and Europe . Rosenthal is an accomplished historian of European economic development, and Wong is an expert on Chinese economic, social, and political history. So their collaboration permits this book to bring together into one argument the full expertise available on both ends of Eurasia. The book aims to unsettle the debate in fundamental ways. Wong and Rosenthal take issue with a point that is methodologically central to Pomeranz, concerning the units of comparison. Pomerantz wants to compare England with the lower Yangzi region in China, and he gives what are to me convincing arguments for why this makes sense. W&R want to compare Europe with China, making England a special case. And they too have good reasons for their choice. Second, they disagree with the temporal framing that has generally been accepted within this debate, where economic historians have generally focused their research on the early modern period 1600-1900). Against this, they argue that the causes of divergence between Europe and China must be much earlier. They set their clock to the year 1000, and they examine the large features of political and economic development that started around that time. Finally, they offer crippling objections to a number of standard hypotheses about Imperial China as a place to do business. They show that there were alternative credit institutions available in Ming and Qing China. They show that the Chinese state was sensitive to levels of taxation, and kept taxes low (generally comparable to European levels). And they show that Imperial social spending (the granary system, for example) was generally effective and well managed, contributing to economic prosperity. So the traditional explanations for Chinese "stagnation" don't work as causal explanations. They find one major difference between Europe and Asia during the first part of the second millennium that seems to matter. That is the multiplicity of competing states in Europe and a largely hegemonic Imperial state in China and the scale of the relevant zones of political and economic activity. Chapter 4, "Warfare, Location of Manufacturing, and Economic Growth in China and Europe," lays out this argument. Here are the key points. The competing states of Europe were frequently drawn into conflict; and conflict often resulted in warfare. R&W argue that this fact of competition had a fateful unintended consequence. It made fortified cities much safer places than open countryside. And this in turn changed the calculation about where "manufacture" could occur at lowest cost. Labor costs were higher in cities, so absent warfare, producers were well advised to pursue a putting-out system involving peasant workers (proto-industrialization; link). But with the threat of marauding armies, European producers were pushed into urban locations. And this in turn gave them incentives to develop labor-saving, capital-intensive techniques. Putting the point bluntly: China didn't have an industrial revolution because it was too safe an environment for labor-intensive production. Another important feature of Before and Beyond Divergence is its use of simple economy models to explore the incentive characteristics of various historical circumstances. For example, they provide a simple representation of the costs of contracting in China (76-77), the costs of warfare on manufacturing (108-109), and a mathematical analysis of credit and interest in China (135). Their perspective is one that essentially presupposes the idea of decision-making based on prudence, or a rough-and-ready rational choice framework. They believe that various historical circumstances change the price and opportunity environment for producers and consumers. So once we can estimate the magnitude of these changes, we can also gauge the approximate magnitude of the change in behavior that results. Or in other words, their approach is one of economic historians, not simply historians of economic institutions and behaviors. They are reluctant to consider cultural or normative sources of behavior. Certainly this book too will generate a lot of critical response. It is an important contribution. The Social Science History Association is an interdisciplinary group of scholars that shares interests in social life and theory; historiography, and historical and social-scientific methodologies. 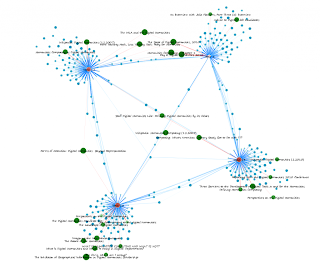 SSHA might be best seen as a coalition of distinctive scholarly communities. Our substantive intellectual work ranges from everyday life in the medieval world – and sometimes earlier -- to contemporary global politics, but we are united in our historicized approach to understanding human events, explaining social processes, and developing innovative theory. The term “social science history” has meant different things to different academic generations. In the 1970s, when the SSHA’s first meetings were held, the founding generation of scholars took it to reflect their concern to address pressing questions by combining social-science method and new forms of historical evidence. Quantitative approaches were especially favored by the association’s historical demographers, as well as some of the economic, social and women’s historians of the time. By the 1980s and 1990s, other waves of scholars – including culturally-oriented historians and anthropologists, geographers, political theorists, and comparative-historical social scientists -- had joined the conversation. New intellectual directions continue to emerge at the outset of the 21st century. 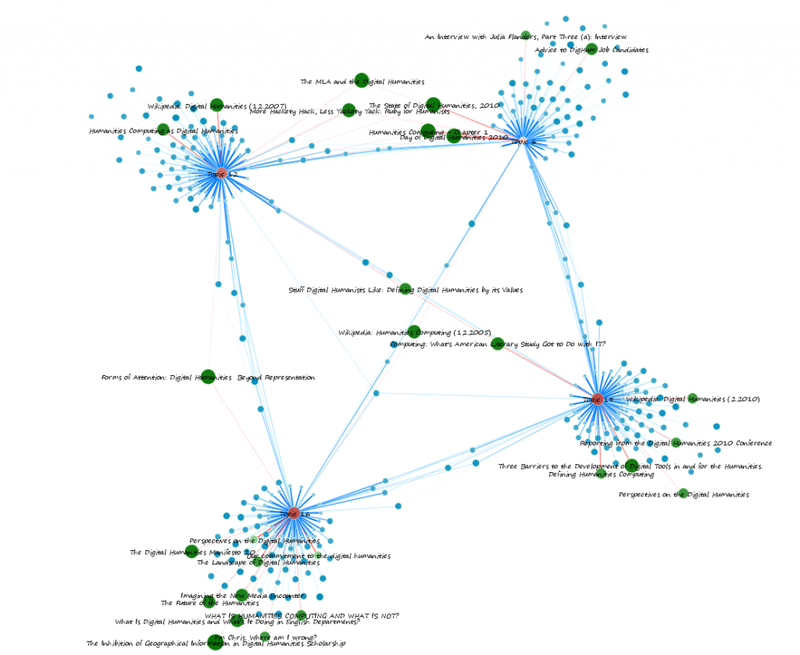 Today’s SSHA incorporates a diversity of scholarly styles, with lots of crosstalk among them. One of the special values of SSHA is the emphasis given to interdisciplinarity. It is a principle of the organization that panels should contain papers by scholars from different disciplines (and different institutions). Why is this valuable? For several reasons. First, every discipline develops a degree of myopia when it comes to the definition of problems and methods. And yet the big questions we would like to address historically do not divide neatly along the domains of the disciplines. Politics, family, culture, environment, markets, warfare -- these all correspond to different disciplines. And yet real historical Burma or France unavoidably involves all of them. So bringing the perspectives of specialists in economics, cultural studies, and population history into productive interaction in connection with a question like "Why and how did France become "France?"" is profoundly creative. It leads us to a significantly broader view of the problem, the processes, and the methods that might illuminate. The other distinctive feature of SSHA, going back to its establishment in the 1970s, is the conviction that the social sciences are deeply relevant to historical understanding. Sometimes this conviction has led to a cliometric impulse -- an emphasis on quantitative social history. But it has also been very receptive to qualitative and comparative approaches to historical research as well. Andrew Abbott describes some of the intellectual and institutional currents that led to this emphasis within and around the history profession and historical sociology in Chaos of Disciplines. Another great benefit that derives from participating in SSHA is the renewing exposure it permits to brilliant, innovative young scholars in a variety of fields of theory and research. It is so encouraging to see many young scholars whose work goes significantly beyond existing standard approaches. Sometimes PhD students seem excessively beholden to the ideas of their teachers. In the past several years I've been very pleased to see confident innovation and creative thinking by the coming generation of scholars in many of the fields of social and historical research. A good example is a couple of papers on the subject of processes and temporality by Tulia Falleti ("Decentralization in Time: A Process-Tracing Approach to Federal Dynamics of Change") and Matthew Norton ("Processual and Situational Temporalities in Sociological Explanations"). Isaac Reed is another good example of an innovative young scholar who is offering fresh ideas into debates about theory and social science. His recent Interpretation and Social Knowledge, on display at the book exhibit, is a rigorous, fresh approach to post positivist philosophy of social science. SSHA has been a leader in bringing Geographical Information Systems (GIS) into concrete applications in historical research, and there were a number of panels using this technology with great effectiveness. The Interdisciplinary Consortium for Social and Political Research (ICPSR) is a longstanding partner with SSHA, and there were a number of sessions that illustrated the value of the large databases and advanced historical methods that ICPSR has championed for years. The current president of SSHA, George Alter, is a distinguished historical demographer and also serves as director of ICPSR at the University of Michigan. I'm looking forward to his address later today, "Life Course, Family, and Community." Historical demography is a longstanding area of focus for scholars within the SSHA orbit. Some new concepts and methods that are visible in this year's program include application of social network analytical tools to historical topics; new thinking about temporality and events; steady progress on large studies of population history; new thinking about colonialism and post-colonialism; and new ideas about comparative economic history across Eurasia. The language of causal mechanisms is showing up much more frequently across panels than I've noticed in previous years. The Association's journal, Social Science History, reflects many of the strengths of the organization. Neil Gross offers a friendly amendment to the growing literature on social mechanisms within sociology in "A Pragmatist Theory of Social Mechanisms" (link). He offers general support for the framework, but criticizes the main efforts at specifying what a social mechanism is. (James Mahoney makes a major effort to capture the main formulations in "Beyond Correlational Analysis"; link. Mahoney identifies 24 statements, all somewhat different.) Gross argues that the existing formulations are too tightly wedded to the metaphor of a physical mechanism -- for example, the cogs, gears, and springs of a clock. And the existing frameworks are too dependent on the assumption of rational actors, rather than a more fluid and relational understanding of social action. In some respects his arguments converge with those of Andrew Abbott considered in an earlier post. The account of social mechanisms that Gross puts forward is a "pragmatist" theory. Here is how he puts the point in the paper's abstract. Social mechanisms are causal in that they mediate between cause and effect. Social mechanisms unfold in time. Social mechanisms are general, although in varying degrees. Methodological individualism versus social ontologism. A key part of Gross's critique of existing expositions of the social mechanisms approach, largely within the framework of analytical sociology, is the reliance these researchers make on the framework of rational choice theory. Gross believes this is too narrow an understanding of human action, and therefore serves poorly as a foundation for our thinking about real social mechanisms. Gross prefers a "pragmatist" understanding of action and actors, one that is closer to the field of symbolic interactionism than to economics. This approach links action to "practices" and habits more fundamentally than to means-end rationality and goal-seeking behavior. "Pragmatists maintain that instrumental rationality itself, when it does appear, is a kind of habit, a way that some humans can learn to respond to certain situations, and that we should be as interested in the historical processes by which the habit of rationality -- in its various forms -- develops and is situationally deployed as we should be in its effects" (367). Gross brings these ideas about action and practice into the mechanisms framework with this basic idea. This approach understands action as more fluid and interactive than deliberative and pre-planned. And it emphasizes the contingency of interactions with other actors that influence the development and unfolding of the swirl of activity and the constitution of the actor him/herself. Fundamentally Gross's critique comes down to a plea for a better understanding of social action itself, and of the actor, than the mechanisms approach is inclined to offer. And the framework within which to conceptualize action that he prefers is one that derives from inter-action, spontaneity, and adjustment as much as (more than?) the deliberative and calculating processes postulated by rational-actor models. I think that Gross's approach is fairly consonant with that taken by Chuck Tilly and Doug McAdam in various places. McAdam, Tarrow and Tilly emphasize the "relational" nature of social action in Dynamics of Contention. And here is a nice statement of McAdam's summary view of social action in Political Process and the Development of Black Insurgency, 1930-1970 . Interpretive processes and the collective attribution of opportunity/threat. Appropriation of existing organizational space and routine collective identities. This account emphasizes much of Gross's agenda as well: adaptiveness, contingency, a fluid definition of action through inter-action with other actors, and the significance of culture and identity in action. Health disparities across a population are among the most profound indicators of social inequalities that we can find. And the fact of significant disparities across groups is a devastating statement about the circumstances of justice under which a society functions. These disparities translate into shorter lives and lower quality of life for whole groups of people, relative to other groups. Both the United States and China appear to display significant health disparities across their populations. Here are a couple of studies that draw attention to these facts. Here is an important new study on the question of health disparities in the United States by public health researchers at Harvard and UCSF. 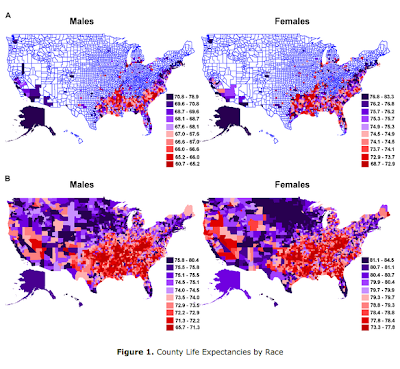 The study is "Eight Americas: Investigating Mortality Disparities across Races, Counties, and Race-Counties in the United States". And the answer the researchers provide to the question above is that the US possesses very significant health disparities across segments of its population. The study is worth reading in detail. The gap between the highest and lowest life expectancies for race-county combinations in the United States is over 35 y. 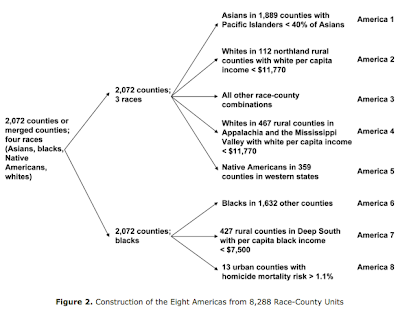 We divided the race-county combinations of the US population into eight distinct groups, referred to as the “eight Americas,” to explore the causes of the disparities that can inform specific public health intervention policies and programs. 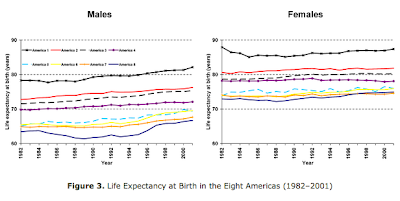 Disparities in mortality across the eight Americas, each consisting of millions or tens of millions of Americans, are enormous by all international standards. The observed disparities in life expectancy cannot be explained by race, income, or basic health-care access and utilization alone. Because policies aimed at reducing fundamental socioeconomic inequalities are currently practically absent in the US, health disparities will have to be at least partly addressed through public health strategies that reduce risk factors for chronic diseases and injuries. For example, their data show that "the life expectancy gap between the 3.4 million high-risk urban black males and the 5.6 million Asian females was 20.7 y in 2001." This is an enormous difference in longevity for the two groups; and it is a difference that tags fundamental social structures that influence health and risk across these two populations. Opportunities and interventions to reduce health inequalities include (1) reducing socioeconomic inequalities, which are the distal causes of health inequalities, (2) increasing financial access to health care by decreasing the number of Americans without health plan coverage, (3) removing physical, behavioral, and cultural barriers to health care, (4) reducing disparities in the quality of care, (5) designing public health strategies and interventions to reduce health risks at the level of communities (e.g., changes in urban/neighborhood design to facilitate physical activity and reduce obesity), and (6) designing public health strategies to reduce health risks that target individuals or population subgroups that are not necessarily in the same community (e.g., tobacco taxation or pharmacological interventions for blood pressure and cholesterol). These findings are squarely relevant to assessing the justice of our society. The country needs to recognize the severity of the "health/mortality equity" issue, and we need to make appropriate policy reforms so that these disparities begin to lessen. Several research papers address these issues for the case of China. One is a World Bank working paper by David Dollar called "Poverty, Inequality, and Social Disparities During China's Economic Reform" (link). Dollar notes that China has dramatically reduced its poverty rate over the past 25 years, whereas its income inequality measures have increased sharply during the same period. (Albert Park and Sangui Wang review the poverty statistics for this period in China Economic Review; link.) They conclude that these inequalities between rural and urban populations, and between well educated urban professionals and the urban working class, have also resulted in significant inequalities in health status and outcomes for the various sub-populations. Health equity cannot be concerned only with health in isolation. Rather it must come to grips with the larger issue of fairness and justice in social arrangements, including economic allocations, paying attention to the role of health in human life and freedom. Health equity is most certainly not just about the distribution of health, not to mention the even narrower focus on the distribution of health care. Indeed, health equity has an enormously wide reach and relevance. 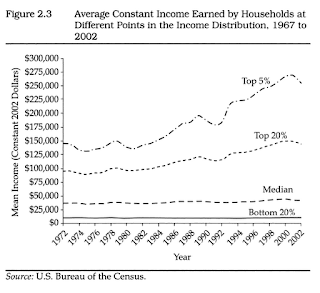 Living conditions diﬀer greatly between areas of diﬀerent aﬄuence. Safe drinking water is available to 96% of the population of large cities but to less than 30% in poor rural areas. Diﬀerences in access to eﬀective sanitation are even larger, 90% of residents in large cities have adequate sanitation, compared with less than 10% in poor rural areas (ﬁgure 6). 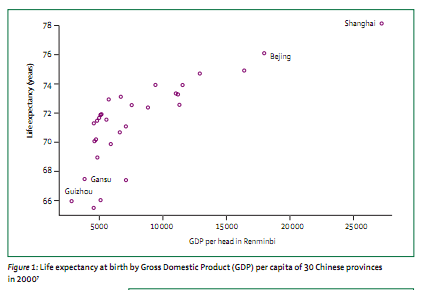 In figure 1 the data demonstrate a strong correlation between life expectancy and average income for China's provinces and municipalities, from just about 65 years for the poorest regions to 78 years in Shanghai region. 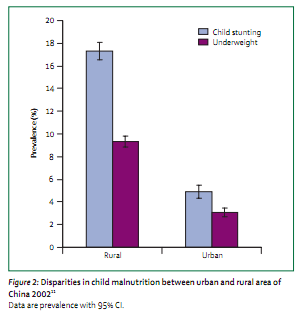 Figure 2 demonstrates major inequalities in child health between rural and urban locations. The authors further report that infant mortality also varies dramatically across regions: "Rural infant mortality rates are nearly five times higher in the poorest rural counties than in the wealthiest countries -- 123 versus 26 per 1000 live births, respectively" (26). One important source of data on these issues that these researchers use is the Chinese National Health Service survey of 1998; link. 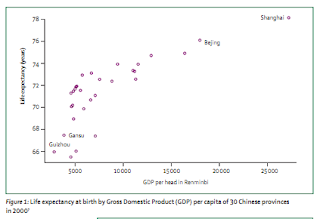 It would appear that studies of health status in China disaggregated by population segments are not yet as fully developed as one would wish. The CHNS appears to have limited data coverage (much more limited than the national census, for example), and none of the studies mentioned in these articles appear to disaggregate down to levels lower than the province. But the summary findings of all three of these articles point in the same direction: it is probable that there are significant inter-regional and inter-sectoral inequalities in health outcomes for the sub-populations corresponding to these segments. China's role in world history? People sometimes want to make large statements about China's future in the coming fifty years. These range from a Sinocentric paen -- "The twenty-first century will be marked by a hegemonic China on the world stage", to the dubious -- "China's polity will ultimately shatter under the pressures of regional inequalities and competing political interests among elites." Generally speaking all these large claims seem a bit Hegelian to me; I don't think we can make large predictions about the course of world history. So I don't think that China's role is pre-ordained. That said, a few things seem fairly clear in China's present, and these features have some implications for the future as well. One is that China has embarked an a remarkable expansion of its university system in the past twenty years, and these efforts have turned the corner when it comes to the production of talented young people and significant, original innovations in science and technology. There are now something like 15 million university students in China, including a significant percentage in the elite national universities. This is something like a 15-fold increase in the past 30 years. China's research centers in many areas of technology and engineering are world-class today, and they are getting better every year. This means that China will have the talent needed to confront almost any large technological problem. Think of the Great Wall, planned and implemented by a million talented new engineering graduates. For example, the concentration on optoelectronics in Wuhan in universities, research centers, and private companies seems to make it highly likely that China will be a leader in this field in the future. So the idea that many in the West have that the universities in Europe, Australia, or North America are of higher quality, or that the research that takes place in the West is more innovative, seem to be based on wishful thinking rather than sober factual analysis. If the West has an edge in any of these areas today, it is one that is likely enough to disappear in the medium-term future. It is also worth noting that there is a very high degree of exchange of talent between China and the West. Many of the scientists and leaders one meets in universities and research institutes have done some or all of their advanced training in the United States or the UK or have spent time there as post-doctoral students. I'm sure there are "styles" of Chinese research organization that are distinct from Western models. But there seems to be no reason at all to expect that the rate of new discovery in the future will be substantially different in the West and in China. And given that China is establishing a larger base of research resources, this seems to imply that the production of innovation will shift to China. Second, and related to this first idea, China's leaders and guiding ministries are very deliberately seeking to steer China's economic activities up the value chain. Much of China's growth in the past thirty years was based on low-wage manufacturing. But China's leaders inside and outside of government are very explicit in their goals of shifting to higher-level goods and services -- exactly the areas where European and American leaders hope to dominate. Moreover, China seems to be much more deliberate than Western governments about the need to invest in the infrastructure that will provide the basis of this transformation. China has invested massively in transportation, research centers, and universities throughout the country. These investments are synergistic: they make the next steps of high-end development multiplicative rather than additive. The coordination and cooperation that are facilitated by high-speed rail and air connections amplify the ability of researchers, planners, and entrepreneurs to bring their projects to completion. And the investment funds made available by further economic growth success in turn amplify the state's ability, and the growing private sector's ability, to make expanded investment in the following periods. These factors would point us in the direction of expecting China to move to a position of global economic preeminence in a fairly short period of time. However, contemporary China has obstacles to further progress that are fairly large as well. One of these handicaps is the governing party's fundamental view of the appropriate flow of information within society. The government seems to take the position that it needs to carefully manage the access to information that the public is able to gain. Its willingness to censor the Internet for its citizens is a symptom of this view. Chinese society would be stronger if there were a fundamental rethinking of openness about information. And eventually China's leaders will need to recognize that Chinese society is stronger, not weaker, when citizens can freely express their views and interests. Second is the fact of persistent inequalities in Chinese society, by sector (rural-urban), by status (resident and well educated / migrant and poorly educated), and by region (coastal-western regions). These inequalities will eventually hold China back -- they reduce the talent pool and they stimulate resentment and disassociation among the disadvantaged groups. Third, government non-accountability and its cousin, corruption, create serious obstacles to effective forward progress. The apparent problems of accountability and perhaps corruption that came to light in the railroad ministry a few months ago cast a shadow about the integrity of the rapid expansion of high speed rail -- from safety procedures to construction standards to administrative effectiveness. So more accountability and transparency will be needed in the future, or else China's major aspirations will be frustrated by ineffective implementation. These are fairly systemic factors that seem likely to impede China's progress in the future. Here is a fact that will seem trivial by comparison, but I think it is not. It is the factor of traffic and pedestrian safety. Each city I've visited has a traffic environment that can only be described as barely constrained anarchy. Drivers cross four lanes of traffic to make an abrupt right turn; motor bikes roar up the inner lane in the wrong direction; traffic snarls to a stop when a bus gets sideways at an intersection; pedestrians try to make their way across eight lanes of non-stop vehicles; drivers hurtle towards pedestrians and bicyclists until they scatter. This sounds trivial (until you're caught in the middle of those eight lanes of traffic), but it seems to reflect a more basic and important fact. Doesn't sound urban planning involve careful design of a traffic system that keeps vehicles moving in the same direction; where pedestrians are largely separated from vehicles; and where signals and road design permit safe pedestrian crossing? And yet those rational plans seem not to have been developed in China's cities. One possible reason is that China's planners have simply not given sufficient priority to creating rules and structures that protect the public's interests -- whether in traffic control or in food safety. Build the buildings, stimulate the economic growth, and don't worry too much about the consequences. If this is correct, it too indicates a feature that will interfere with China's future development. In brief, contemporary China seems to display dynamic properties that point in contradictory directions. On the one hand, any visitor can see the dynamic, fast-moving creativity and intelligence that are transforming China and its universities and businesses. On the other hand, there are barriers to "business as usual" development that perhaps set limits to how much further China can go without some important reforms. And it's possible that the governing party may find those reforms to be unacceptable for one reason or another. So the Owl of Minerva still has its wings quietly folded when it comes to China's role in future world history. It remains for China's people and its governing institutions to write the story. I'm attending the Beijing Forum 2011 this week, and it's a superb international conference. Much of the conference took place at Peking University. Over three hundred international scholars were invited to participate, and there are dozens of interesting conversations going on at any one time. The goal is to stimulate productive dialog among scholars from many nations about the issues of modernity and tradition we currently face, and the setting works. I've had very interesting discussions with scholars from Thailand, China, Angola, Laos, and Mexico, and it is very interesting to get the different perspectives that we all bring. My paper, "Justice Matters in Global Economic Development," was included in the Economic Growth theme. I argued five basic points: We generally agree about the basics of a just society. The current state of the world badly contradicts those values (poverty, inequality, abuse and coercion). Amartya Sen's writings provide a powerful basis for those commonsense ideas about justice. The greatest impediment to improving justice is the untrammeled power private and state interests have vis-a-vis the poor. And injustice matters because it causes serious social problems. So states need to strive to reduce injustice. 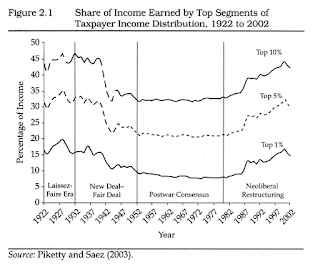 I didn't really have a good sense of how the argument was received by the participants, but there was a fairly clear split between "laissez-faire" growth advocates and economists who took inequalities of income and health very seriously. I assume the latter group was more receptive than the former. The academic question I received during the formal discussion period came from an American economist. He pointed out that China's 10% annual growth since the 1990s has greatly improved the standard of living for a hundred million people in coastal China, and created job opportunities for tens of millions of migrant workers. He wanted to know if I was seriously advocating a slower rate of growth as the price of greater justice. The question reflects the assumptions of many of the economists in the session: state policies aimed at enhancing equality are highly destructive to economic growth. So, by inference, preferring economic justice is harmful for a society. What is equally important, is that the power differential between poor people and propertied interests in China today almost guarantees that the poor will lose out. Property confiscations by businesses and municipal development authorities are a good example. (Coincidentally, the Thai urban planning expert I talked with said this is precisely the case in and around Bangkok, and the Angola urban planner made similar comments about Angolan farmers and the residual white settlers.) So injustice is as much about power as it is about exploitation. And this means that legal and institutional reforms are needed if China's inequalities are to be reduced. Today marks the fourth anniversary of UnderstandingSociety. This is the 613th posting since I began in November 2007 and the 135th in the past year. I continue to find this medium a good way of pushing forward my own learning and thinking about a swirl of topics around the central thrust, making sense of the social realm in which we live. I've been drawn into lines of thought in the past year that I wouldn't have encountered without the intellectual effort involved in writing the blog. And, of course, it is a good way of meeting a reading public all around the world. Several topics came in for special focus in the past year. First, there is a fair amount of new material on the philosophy of history. Since finishing New Contributions to the Philosophy of History last fall (2010) I've continued to think about history and historiography, and I've found some new issues that I need to think about more fully. There is more to come on this. Second, I've been thinking about John Rawls's work more in the past year. I first read Rawls as an undergraduate in the late sixties. Then I read A Theory of Justice when it appeared in 1971 as I was beginning to take courses from Rawls as a graduate student. Truthfully, I like the work better today than I did then, 40 years ago. And I'm finding that it provides support for a much deeper critique of our society than I thought then. One part of this rethinking is contained in a piece on "Property-owning democracy". Another is a reflection on Rawls's later thoughts about the deficiencies of an excessively consumerist culture in his correspondence with Philippe van Parijs. Third, I've written quite a bit in the past twelve months that is directed at issues in analytical sociology. The key premises of the AS approach are very consistent with my own understanding of the social world (microfoundations, methodological localism, causal mechanisms). But the new rash of books and conferences on the issues AS raises have been very stimulating to me, and I'm finding that there are good reasons to support the idea of meso-level social causation. (See the "analytical sociology" thread for these postings.) I expect to do more on this topic in the coming year, including perhaps some more thinking about the issues raised by agent-based modeling. A fairly general but perhaps unexpected observation is that I've found myself looking back to classics in the social sciences over the past fifty years, and have found new things in these works that didn't catch my attention the first time I read them. This is true, actually, of the rereading I've done of Rawls. But posts on Chalmers Johnson, Herbert Simon, Steven Lukes, and Fritz Stern led me to think more fully about their ideas, and to see new insights that were probably there all along but not for me. Readers come to the blog through two channels. Slightly more than half the visits to the blog are in the form of direct visits to the Blogger site itself, through searches, referrals, and direct links. And the remainder take the form of readers who use a blog reader or RSS feed to follow or subscribe to the blog. These views don't show up in the first measure. The first "channel" represents a broad population of occasional readers interested in a particular topic. The second represents a group of readers who have deliberately chosen to follow the blog. The readership of UnderstandingSociety has continued to rise. There were 220,474 visits recorded directly to the site, and another 193,971 views through the RSS feed. About 50% of visits are from the United States, and the other half come from 194 countries and territories. There are about 2,000 readers who follow the blog automatically through an RSS feed, and there are over 1,600 people who follow on Facebook or Twitter. Thanks everyone! Interestingly, there are only three overlaps on the two lists – "The math of social networks," "Quiet politics," and "Income inequalities and social ills". To the right is a link to a bookmarked PDF of the blog through July 2011. There will be an update after the beginning of January. I've spent some time on this part of the project because it gives expression to the "virtual book" part of my goal in the blog. By using the bookmarks organized into threads it is possible for the reader to look at all the postings on a certain general topic at once. Thanks for reading, following, and sometimes commenting! At the same time, the city is not trapped in the past. Since my previous visit in 2007 the city has undergone many of the same changes that are so striking in other great Chinese cities: new skyscrapers and hotels, more traffic, more smog, and more luxury shopping. One of Xian's major universities, Xi'an Jiaotong University, is developing a major new campus. Particularly striking is a newly developed park in the center of the city that memorializes the Tang Dynasty and its emperors with sculptures, monuments, and light shows. Like the rest of urban China, Xi'an is moving forward rapidly. Particularly interesting for me, though, is the opportunity that a visit to Xi'an creates for talking to people about how they feel about China's rapid changes. A couple of conversations stand out. I asked a very accomplished young historical guide at the Beilin Museum whether Chinese young people found any resonance with the values of ancient Chinese culture -- whether Confucian ideas about the duties of governments and officials or the aesthetic values represented by calligraphy were formative for young people. His response was a reflective one. He observed that middle-aged Chinese men seem to be very interested in these topics, and very interested in practicing calligraphy. He noted that all of China's top leaders in modern times, including Chairman Mao, took pride in their calligraphy. Young people, by contrast, do not share these interests, and they prefer to use the click of a mouse rather than pen and ink to produce a character. He disapproved of this change in cultural attitudes and indicated that learning calligraphy is learning to think in a particular way. Another value slipped into this conversation almost unnoticed. The guide informed me that one pagoda contains a Qing-era stele with a text from the Emperor exhorting the suppression of a minority-based rebellion. This pagoda is sealed, he said, because the government wants to create a feeling of national harmony and the message of the stele is contrary to harmony. Even scholars are not permitted to view the text. His ready acceptance of the legitimacy of the government's suppressing information was very striking to my ears. It made me think of the regime's casual decision to make western blogging platforms unavailable on the Internet in China, making a vast domain of information and opinion unavailable here. The idea that the government has the right to select and filter the information that citizens can access is a harmful one to anyone with liberal values; but it is one that is readily accepted and justified by many thoughtful people in China. Another snippet of conversation that interested me took place with a university staff person. This young man's wife is expecting the delivery of their first (and only) child in the next month. Because he works for a university, he is interested in education. So I asked him about the current situation of the education of Chinese children. He was very passionate on this subject. He talked about the incredible pressure that children are under from the very earliest age, to compete and excel in school. The competition to gain entry into the "best" kindergarten, middle school, and high school pushes parents and children to unbearable effort. He talked about middle school children pushed by their parents and the sense of deeply important competition, to excel in their grades, their violin and piano lessons, their dance lessons, and their other extra-curricular activities. And he talked about middle- and high-school students working on homework well past midnight in order to gain the best possible grades. He observed that this pressure takes a terrible toll on children, even while it produces students who are very, very good at taking competitive examinations. But he doubted whether the other qualities of a well-educated student are coming through -- an ability to communicate well, and an openness to innovation, for example. What was striking to me in the conversation was not only the content of his observations, but the passion and emotion with which he spoke. One additional observation seems somewhat telling. This has to do with the flying public in China. As I passed through the first class seating area to my own seat in economy flying from Shanghai to Xi'an, I noticed that the first class section was completely filled with young Chinese professionals, their smartphones, laptops and folios in hand, heading off to a day's worth of appointments in Xi'an. This is a sign, of course, of the familiar fact that China's professional service class has expanded dramatically in the past twenty years. This is part of the change that has brought Prada, Jaguar, and Ferragamo to every large city in China. But I also noticed something else in the economy section of the flight from Detroit to Shanghai – a good number of young Americans who have decided to spend some or all their careers in China. The opportunities created by China's growth are drawing a large number of middle class Americans to work in Shanghai rather than Knoxville, Peoria, or Tampa. This isn't the business elite that has done business in China for decades, but a new wave of young engineers, managers, or skilled workers who are following the global opportunities. The young man sitting next to me in economy defined the situation for me: a Kentuckian with a community college degree in technology, experience in the US in setting up a factory, and now employed in a two-continent job taking him between Shanghai and Louisville working for a Chinese company that is setting up a major chemical plant in Suzhou. He recently married a young Chinese woman who will be returning to Kentucky with him in a month or so. A final observation about Xi'an: People here seem to be very accepting of China's system of single-party rule. 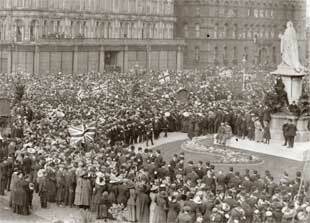 The comment is often heard that "when the central government has decided what to do, it gets done." This comment was made about the rapid and impressive development of the Tang Dynasty Park in Xi'an mentioned above, but it seems to be in the back of mind for many areas of policy and change. And the government seems to get a great deal of credit for its success over the past thirty years in moving China forward: economic growth, world stature, and a sense of Chinese national pride are all achievements that many citizens accord to the government's decisions and policies. A twenty-something professional said to me: "The government is trying seriously to address China's problems. Our leaders are moving in the right direction. It may take two generations to solve some of our problems (like rural-urban inequality)." I haven't yet been exposed -- in this visit or in prior visits -- to a sense of discontent, whether about the state's control of individual liberties and access to information, or about other aspects of political control. Of course there is discontent in several sectors of China's society -- rural people whose economic progress is slow and whose property is subject to seizure; workers whose wages aren't being paid; urban people whose environments are subject to repeated toxic incidents. But those sources of discontent don't seem to have percolated into a more widespread sense of dissatisfaction in the broader urban public. Signing off from the home of the Tang Dynasty – I have a temple to visit!